Nintendo Entertainment System: Mini Classic Anniversary Game Edition . Condition is New. Up to 620 games games includes classics such as super Mario, galaga, pac man, donkey Kong and Many More If you have any questions please ask. Nintendo Entertainment System: NES Classic Edition Modded With Over 700+ Games!! The craving for the 80s in full throttle! What a RUSH! (I do mean rush rush rush to get one before they are gone)!It is completely worth it but make sure you do your homework when purchasing the NES CLASSIC. To start ask yourself is the real one? Some merchants want to waste your time and money to sell a fake product or a product that doesn't work due to the insane demand for one. We 80s babies love the Nintendo and will continue to crave Super Mario ,Zelda , and other related games from time to time. So good luck reaching your goal and find one because Nintendo yet again made just "UNDER ENOUGH" before the discontinuation of this precious and priceless Classic. I received the product, opened it and plugged it in. Instantly I noticed the intro screen started to bounce up and down. I thought it might be because it is new. I checked and made sure all the cords were hooked up correct and restarted it. The intro screened stopped bouncing the 2nd time and I started to play the games. Unfortunately a few minutes into the first game Mega Man 5 the screen started to bounce up and down again. I tried on multiple games and the screen continues to bounce up and down making it impossible to play. I am requesting my money back. Excellent product, great seller, great communication, fast shipping. What more could you ask for. Contacted the seller before I bought it and asked him if I could have a few games added on to the system. He got back to me immediately. Have the product in my hand now fresh look out of the box. Plugged it in had the games that ask to be added. In the library is just nuts. From what I've played so far games play superb. Awesome box art, for gamers this is a must. the seller put a lot of effort into it. Couldn't ask for more thanks again. I was born in the mid-80s and fondly remember spending lots of time on my original NES clear into the early 90s. As a 30-something adult in the iProduct world I have a great appreciation for things that do one thing and do them really, really well. The NES Classic Edition brings back all of those fond memories of my gaming childhood with all the convenience of no cartridges (or blowing on them) and the true retro feel of the Nintendo OEM controller. Although there may be a premium attached to obtaining one since they've been discontinued, I am completely and fully satisfied with all the feels I've had from this product and would gladly pay that premium again. Love this system! Plays just like the original game from the 1980's except the unit fits in the palm of your hand and is only as wide as the controller (which is exactly the same as the original, too). 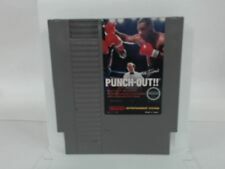 Graphics are crude by today's standards, but if you are looking to bring back the memories and fun of NES original system, you will love this product. It is plug and play, simple and quick to start playing. I am very pleased with the NES classic edition and happy that I purchased it. Very much worth buying.